How to Host a Twitter Chat Like A Pro | To-do’s from start to finish! 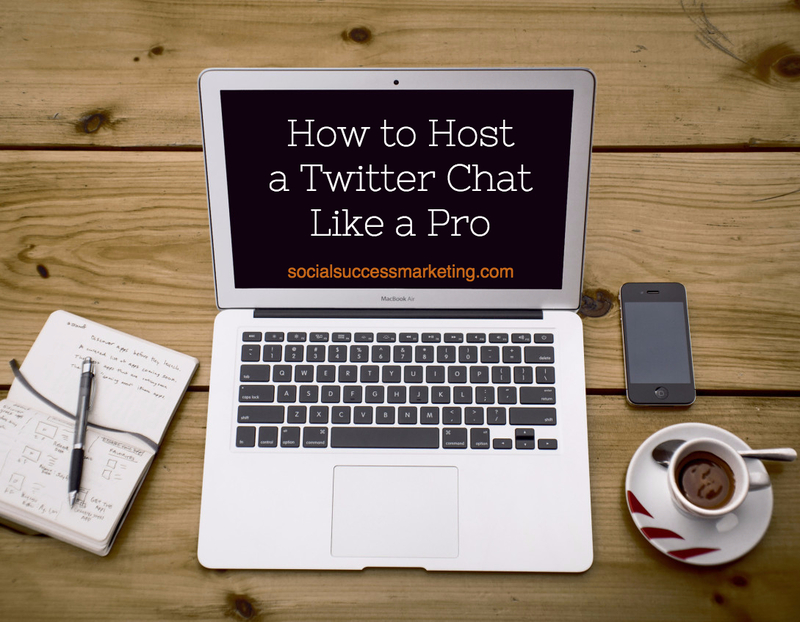 Are you looking for information on how to host a Twitter chat? Then this guide is for YOU. It is sometimes called Tweetchat, or Twitter chat. It is an organized event that focuses on a predetermined topic chosen by the host which may be a company, brand or an individual. I’ve been on Twitter for almost a decade; I find that joining organized conversations on Twitter (read: Twitter chats) are not only beneficial but are also strategic. The guide below serves as a checklist of best practices that I have gleaned and learned over the years both as an active participant of Twitter and also as a Twitter chat host. Hosting a Twitter chat is work. It is fun, but it is, still, WORK. A few questions that you may need to think about before hosting one. Is it beneficial for your business? How so? Is it beneficial to your audience? How so? Would topic be unique and relevant? Do you have enough followers to invite? What you may need to do BEFORE, DURING and AFTER a Twitter chat. Join a couple of tweet chats before hosting one! There are learnings that are better caught than taught. Experience is an exceptional teacher. Invite followers and people you want to be part of your chat community. Be tenacious! Be relentlessly tenacious. Determine how much shameless plugging would you do. Understand that people are not there for the sales pitch. “Two is better than one.” I find that statement to be true when it comes to Twitter chats. One serves as the host the other as the moderator. Determine who does what before you launch the Twitter chat event. Roles can be modified later. Create a Twitter chat calendar to schedule topics. Consider inviting a special guest to host your chat. When inviting others, it’s better to tell them what the topic is about. Prepare questions and post it on your website, and social media platforms. It helps set expectations. Also, that helps give the conversations some depth when participants are prepared. Share and re-share invitation as a reminder. Share any helpful tool that you recommend your community use beside Twitter app. Create a unique hashtag. Research the hashtag if it is already in use; and if so, how it is used. Register hashtag if it’s not registered yet. Post the tweet chat calendar on different social media platform or your website for your other fans or followers to see, and hopefully join. Determine what tool to use to manage the Twitter Chat. Also, make sure you have a backup when the tool acts up. Trust me it happens. Prepare a guide on how the conversation would flow and share it. Example: Q1 (for question #1), and A1 for an answer to question #1 and what hashtag to include if not using tweetchat.com. Not everyone knows these things. Plan on how long you want to camp out on each question. Pick easy helpful and easy topics. Avoid inside-jokes and jargons if you were the host as that could potentially turn off some of your Twitter chat participants. The chat is public, after all. That is unless it’s a clique group chat. Hold a meeting with your guest and your twitter chat team to finalize details on expectations, roles, timing, etc. Create a list of those who you think would be your potential participants of the Twitter chat so you can focus on engaging with them. And then remind them about it as well. You can preschedule this using a tool that way you do not have to re-do this over and over. Be there early to welcome participants. Be polite, and stay polite. 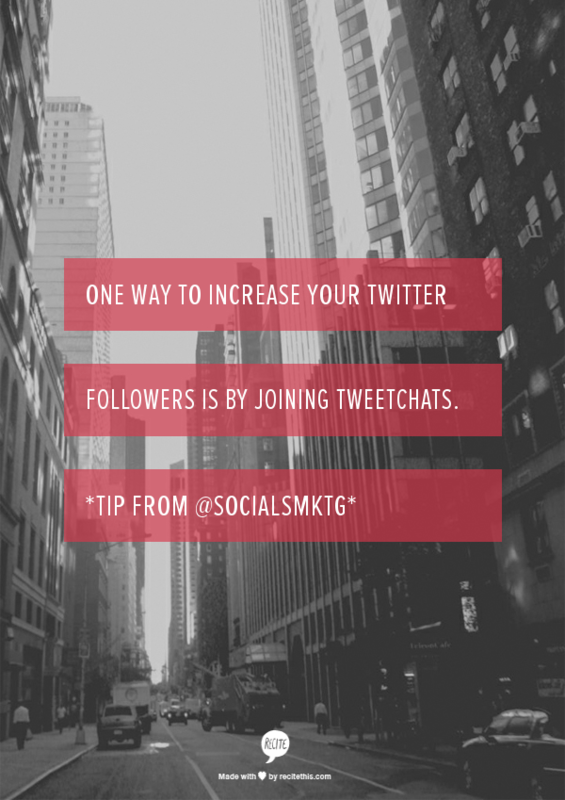 Fire-up your twitter chat participants by encouraging them and affirming their comments. It is not about you after all. Social media is about THEM although it is YOUR chat. Endeavor to engage with other Tweeters, if you are the host. Spread out a bit and engage with other participants. Share a quick guide before posting your first question, and then reshare it during the second half for those who jumped in later. Acknowledge participants of your chat. Favorite tweets. Retweet. Reply. Prepare everyone for next question. If you are using a handy tool, let your participants know what it is, in case they don’t have one. Some may be using only the Twitter app which is not a great tool for Twitter Chat. Frequently, remind your community what hashtag to use so tweets don’t fall into the black hole in case they are not using tweetchat.com or similar tools. Relax, it is just a twitter chat. You don’t have to elbow yourself in. Better to copy paste your questions instead of typing it. Better yet, better to pre-schedule your questions so that gives you time to engage. Pre-schedule reminders to particular tweeters. If your guest is in a different part of town, it is better to have other direct communication tools open like Skype, your phone, or Facebook messenger that does real-time messaging. This is in case something untoward happens like internet going down, etc. In reference to #35, there are other things that will not go as planned. Be ready to adapt and innovate in the middle of a chat. Summarize interesting and helpful tweets using list.ly or other similar apps. Ask your audience topics that may interest them. Confirm with guest (if you have one) the schedule and topic of next chat. Share data that summarizes how the event went. Follow up with a thank-you. Continue engaging with your community even after the chat. For SEO purposes, better keep the summary of chat on your website. That is if your website is easy to update. If not, post it somewhere where it is public so you can refer to it. Measure. Measure. Measure. What should you measure? Among other social media metrics: take note of the number of participants, the number of tweets produced by that chat, and the chat’s reach. Evaluate what worked and what did not for efficiencies. Add an after Twitter chat Facebook live event video, if applicable, to your group or Facebook page to keep the party going. What I find is that the success of your tweet chat would depend on the relevance and helpfulness of topic, the quality of participants; and, most importantly, you as the host, in your rapport with those in your community before, during and after the Twitter chat. Do you have questions on how to host a Twitter chat? Have you hosted one before? Do you need help planning your own Twitter chat from A to Z? Just send your message below and we will be there in a jiffy. On the fence? You can check out our tips here the benefits of doing one for your business.